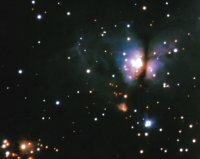 All images on this page were obtained using the Gemini South Telescope and the linked TIFF images are provided at full-resolution. Facility images are also available. 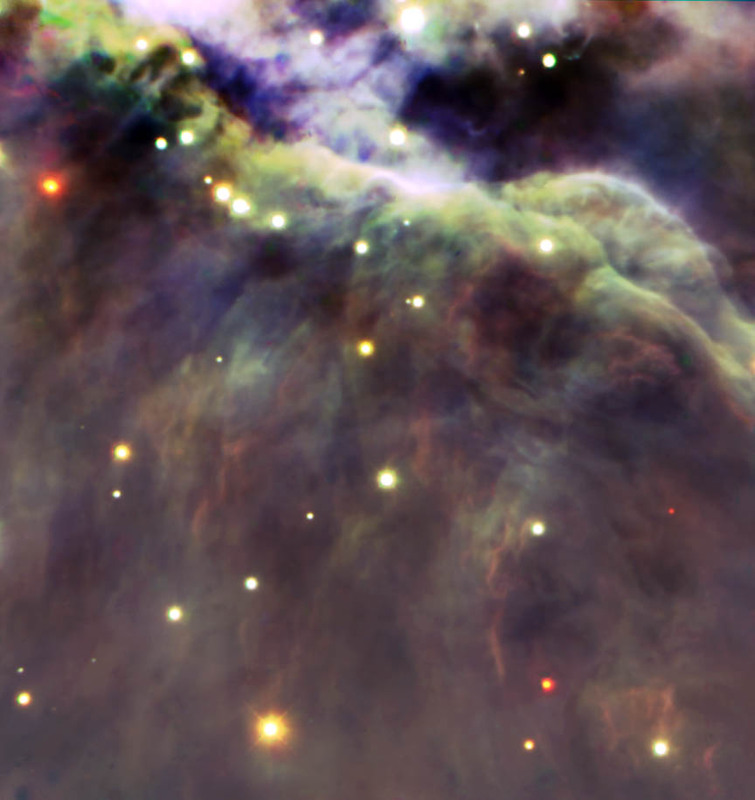 This Gemini South image shows a small section of the "Trapezium" region of the Orion Nebula as seen at infrared wavelengths using the Flamingos-I near infrared imager. 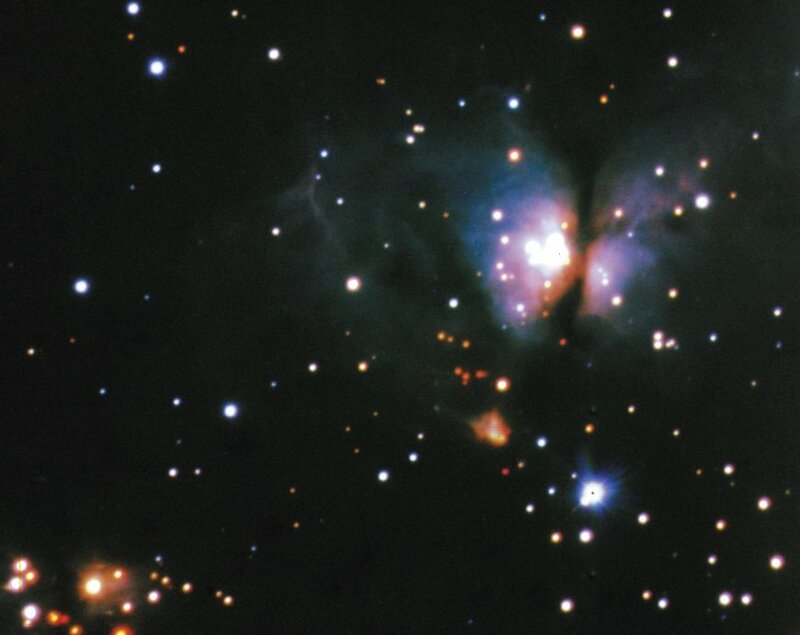 This image is a combination of 3 separate "B&W" images centered on the J, H and K bands to produce this color image. 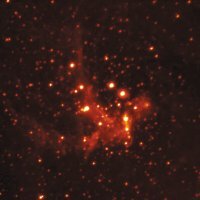 Photo Credit: "Gemini Observatory/University of Florida/Phil Lucas"
Star forming region in Scorpius obtained with Gemini South using the University of Florida's "Flamingos-I" near-infrared imager/spectrograph, Nidia Morrell P.I. (Argentina). Made from J, H and K-short band images with a mean image quality of FWHM = 0.56 arcsec. Photo Credit: "Gemini Observatory/University of Florida/Nidia Morrell/UNLP-CONICET". The center of our Milky Way Galaxy showing emission from hot gas that will either form stars or feed the supermassive black hole at the center of our galaxy. The image quality for this Brackett-alpha (hydrogen) line image is FWHM=0.35 arcsec. This image was obtained with the "Abu" thermal-infrared camera built by the National Optical Astronomy Observatory. Photo credit: "Gemini Observatory/NOAO/Abu Team"
A bi-polar nebula at a distance of 7,500 light-years, the high-mass star formation region NS 14 is also known as RAFGL 5216, BFS 57, and BIP 14. The nebula is excited by four stars in the center and a dense dust lane or torus bisects the nebula. This color composite J, H, and K-short band image has a mean image quality of 0.41 arcsec. This image was obtained with the "Flamingos-I" near-infrared imager/spectrograph built by the University of Florida. 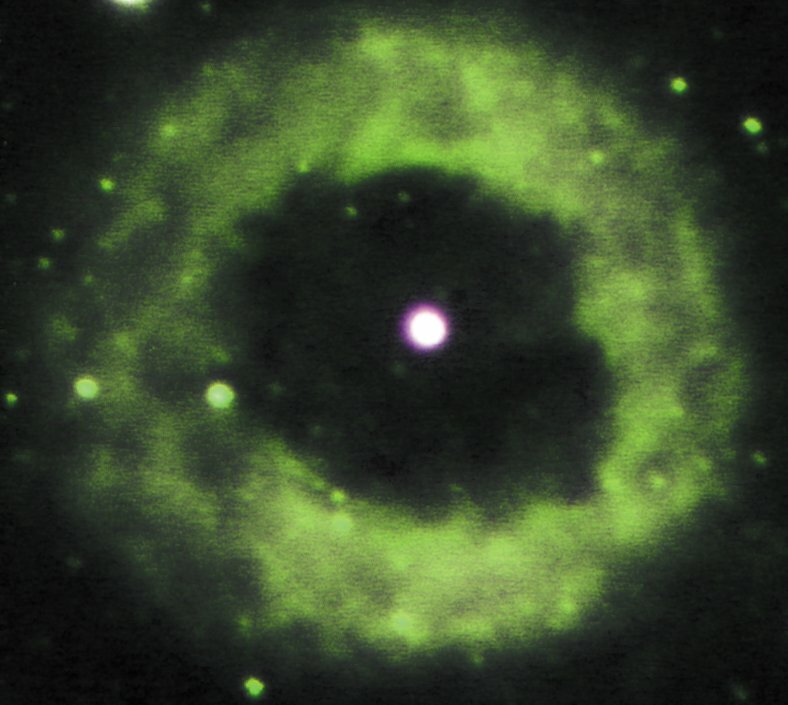 Photo credit: "Gemini Observatory/University of Florida"
A planetary nebula produced by a star that was once like our Sun. This image was made from J, H2 and K-band images; the K-band image has an image quality of FWHM=0.35 arcsec. 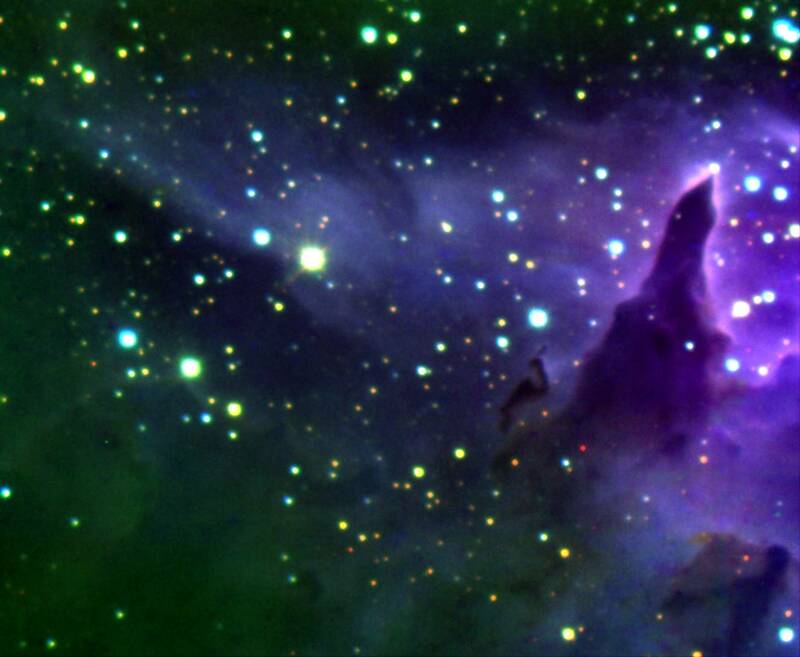 This image was obtained with the "Abu" thermal-infrared camera built by the National Optical Astronomy Observatory. A Seyfert galaxy revealing its bright and active nucleus. 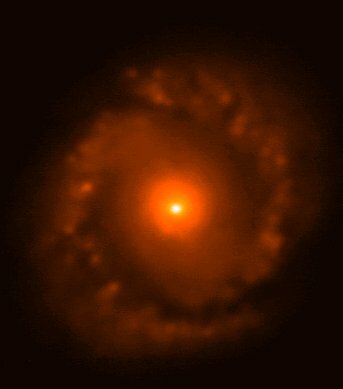 This image was made from a J-band image with a FWHM=0.5 arcsec. This image was obtained with the "Abu" thermal-infrared camera built by the National Optical Astronomy Observatory.